This thokku is something I made last week before leaving to Chennai. Of course my hubby totally forgot the fact that the thokku is inside the fridge and didn't even bother to take a look. But after coming back from Chennai after a tiring trip, I really liked it with plain rice. It took less than 10 minutes for me to finish this thokku. Pre heat oil in a pan, splutter mustard seeds and ajwain seeds. Add fenugreek seeds and hing and fry it for a minute. Add chopped green chillies and Garlic and fry it till it becomes golden color. Add the chopped onion and mint. Saute' for few seconds. Now add the juicy chopped tomatoes to it. Add turmeric powder, red chillies powder and salt and sprinkle a hand full of water. Mix it well and let it cook for 5 to 7 minutes. Adjust water according to your preference. Garnish it with coriander leaves. It goes really well with chapathi and with plain rice with teaspoon of ghee. slurrp..looks so tangy and tasty..
Thokku Looks yum vidhya. I too love to have thokku with plain rice.. I can even as a spread over some bread slices, my fav thokku..
Poori with Tomato thokku...mouth watery combination...Wow...I Love it! 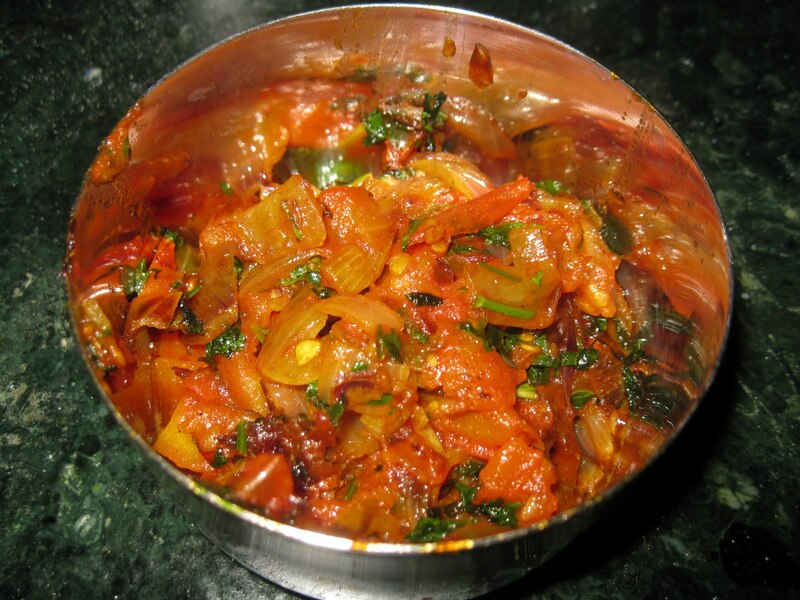 I simple love tomato thokku, and this is such a mouth watering presentation. 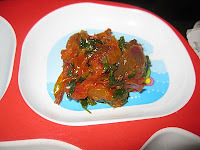 Tasty & tangy tomato thokku ..Love it dear !! Yummy and delicious...... Goes well with hot roti! !